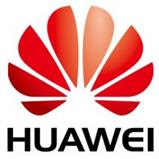 Las Vegas, NV [Jan. 5, 2016]: Making good on its commitment to bring products from Huawei’s global portfolio to the United States, Huawei Device USA today announced four products bound for U.S. consumers in the coming months. At an International CES 2016 press conference earlier today, Huawei, a leading global information and communications technology solutions provider, unveiled new versions of the Huawei Watch, a new color option for the popular Nexus 6P, the MediaPad M2 10.0 tablet and the Huawei GX8 smartphone. Two new Huawei Watch models featuring a sleek, fashionable design were introduced, expanding the number of Huawei Watch models in the United States to eight. Named Elegant and Jewel, the two new styles deliver the same timeless, uncompromising style and functionality that generated accolades for the original models launched this past fall. But the new Elegant and Jewel Huawei Watches differ by delivering a beautiful blend of statement style and modern edge. Like the existing Huawei Watch models, the new watches are inspired by classic, high-end wristwatch design and crafted with premium materials. Both feature the latest version of Android Wear™; iOS and Android compatibility; scratch-resistant, two-layer Sapphire crystal; and 316L cold-forged stainless steel bodies. And while they maintain the much-admired round face and body, Elegant features a distinctive top ring design on a rose-gold plated body, and Jewel features 68 Swarovski Zirconia encircling the face. To further match their distinctive look, Elegant and Jewel will both come with a selection of exclusive watch faces. Huawei Watch Elegant and Jewel will be available in the U.S. in the first quarter of 2016. Huawei also announced the availability of the exquisite gold-colored Nexus 6P, a luxurious new color variation of the innovative smartphone launched earlier this year. The new color option gives consumers a fashionable choice in addition to the already released aluminum (silver), graphite (black), and frost (white) options. Gold-colored versions of Nexus 6P will be available in 32GB and 64GB models and will be available at BestBuy.com, select Best Buy stores and the Google Store, beginning Jan. 5. Huawei’s newest tablet, MediaPad M2 10.0, offers a fantastic audio and visual experience. Built to impress, the MediaPad M2 10.0 delights with an aluminum alloy, full-metal body, precision-crafted curved edges and a rich, sandblasted finish. Its slim, 7.35mm body features an embedded camera and four speakers, positioned to deliver premium sound quality. The high-power speakers also feature an Intelligent Power Amplifier, Clari-fi Audio Restoration and SWS 2.0 Surround Sound, tuned by leading audio brand Harman/Kardon for stunning, rich sound. Coupled with a 10.1-inch, full HD IPS display, and a high-performance CPU and graphics processor, MediaPad M2 10.0 delivers amazing entertainment experiences in any light. The 16GB ROM/2GB RAM model of Huawei MediaPad M2 10.0 will be available in silver color. The 64GB ROM/3GB RAM model will be available in gold color and will be bundled with an active stylus. Both will be available in the U.S. in the first quarter of 2016. The stylish Huawei GX8 stands out from the crowd with a beautiful, aluminum uni-body design. Featuring a scratch-resistant 5.5-inch, Corning Gorilla Glass 3 screen and innovative fingerprint security, GX8 brings beauty, balance and function to your life. Its industry-leading fingerprint sensor delivers a 94 percent unlock success rate, so you can access the GX8 quickly and confidently. Superb connectivity and a powerful, 3000 mAH battery make the GX8 a true powerhouse. Available for just $349.99 USD in gold, gray and silver, Huawei GX8 will be available at BestBuy.com, select Best Buy stores, GetHuawei.com and Amazon.com in the first quarter of 2016. For more information on Huawei Device USA’s CES 2016 news, please visithttp://www.GetHuawei.com/press-center.